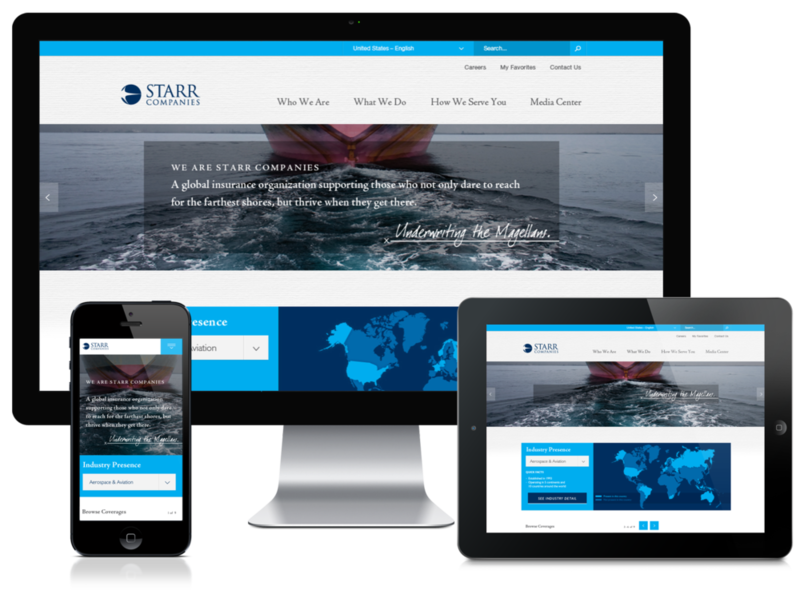 Starr Companies is a leading global insurance and investment company with a broad offering of property, casualty, and accident & health insurance products, services and specialty coverages. Their online presence and CMS platform were far from being nearly as sophisticated as their offerings. Working closely with clients, we developed an updated responsive site that helped modernize their brand, and even their selling process. It's a solution that's also flexible enough to support their needs years into the future.